Hijikata Toushirou is the vice commander of Shinsengumi in Gintama. He is very powerful. 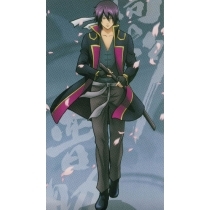 He usually wears his Shinsengumi Uniform.